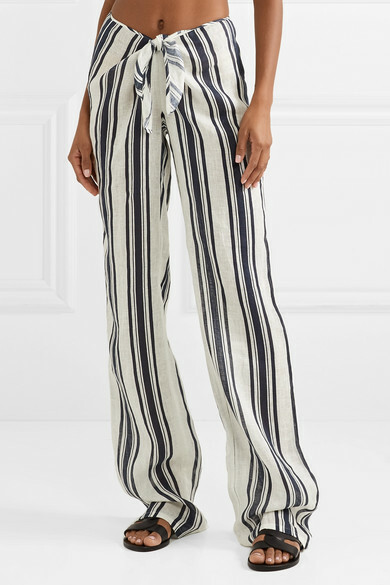 Perfect for slipping on over your bikini to take you from the beach to the bar, Tory Burch's 'Awning' pants are made from lightweight, breezy linen. 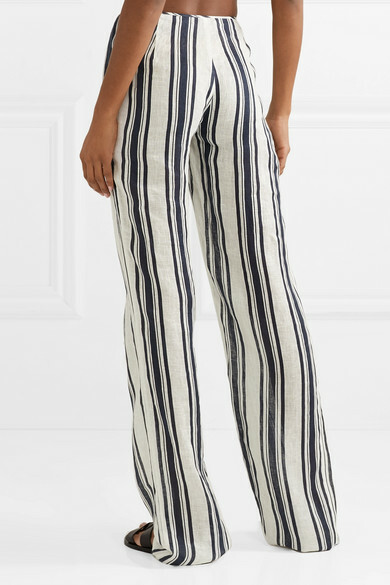 They're printed with nautical navy stripes and have a flattering high-rise waist that ties at the front. 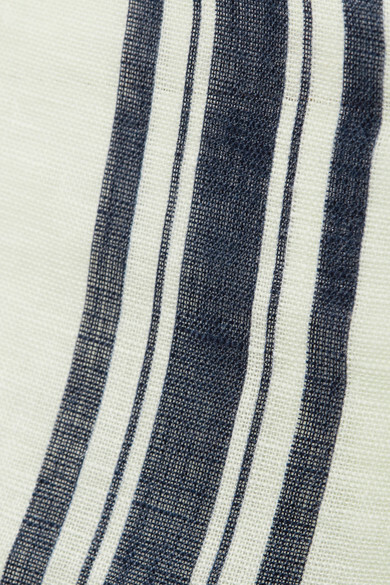 Balance the wide-leg shape with a slim-fitting tank. 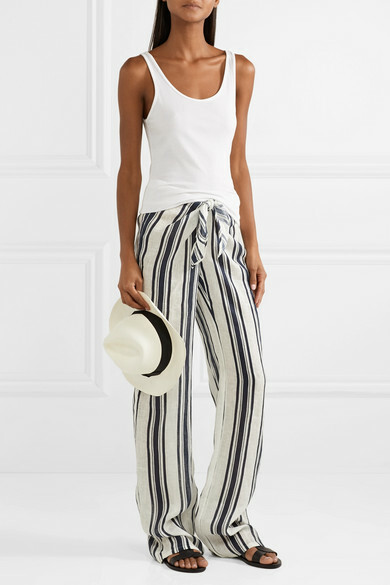 Shown here with: Ancient Greek Sandals Sandals, ATP Atelier Sandals, CLYDE Hat.